Straighten bent frames using frame and underbody pulling and anchoring equipment for vehicle restoration services or collision repair. Your insurance company wants your vehicle properly repaired and you want to be completely satisfied with their claim service and so does Strong's AutoCare. Are you covered for towing expenses if your vehicle is not drivable? Do you have Rental Coverage while your vehicle is being repaired, and how much does it cover? What is the deductible you will be responsible for paying when the repairs are completed? What type of claim is considered a comprehensive deductible? What type of claim is considered to be a collision deductible? We have been dealing with insurance companies for over 30 years and believe the companies who really care about the customer truly are interested in quality repairs. They are concerned with prompt, courteous service that includes quality craftsmanship. Others provide us with the challenge of negotiating a fair price in order to bring a vehicle to its pre-loss condition. In either case, we will be happy to work with your insurance company to minimize your inconvenience. 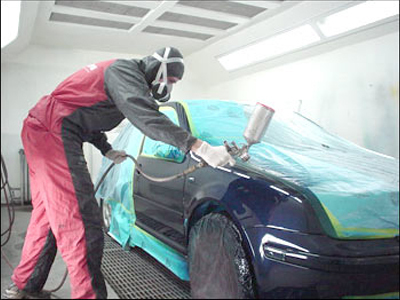 Ask a Strong's AutoCare Employee about any concerns you have on collision repairs and vehicle restoration services.